Tubeless Truck Tire Demounting System. Demounts 16.5" to 24.5" Diameter Truck Tires in seconds. No damage to aluminum or painted wheels using the included rim protector 70103. 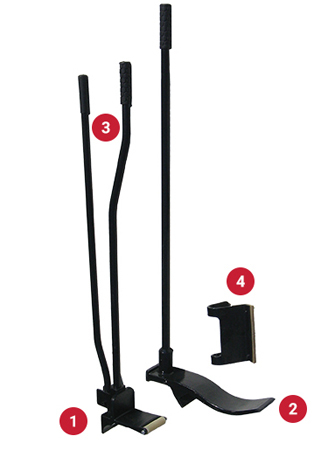 Consists of the 70101 top bead demount tool, 70102 bottom bead demount tool and 70103 Rim Protector.